Quintain, the developer behind the transformation of Wembley Park has marked a major construction milestone, topping out 633 new homes, the majority of which will be for rent and managed by Tipi, Quintain’s lifestyle-focused rental management company. The E01/E02 development, located off Olympic Way, will comprise 381 Build to Rent (BTR) homes and 252 homes from a range of affordable tenures. The development, made up of four buildings ranging from 12 to 15 storeys in height, will include 381 homes for rent which will be managed by Tipi. The apartments will feature state of the art residential living, with interiors and residents lounges by Fossey Arora and partnerships with Samsung, Kohler and John Lewis to supply appliances, brassware and furniture. 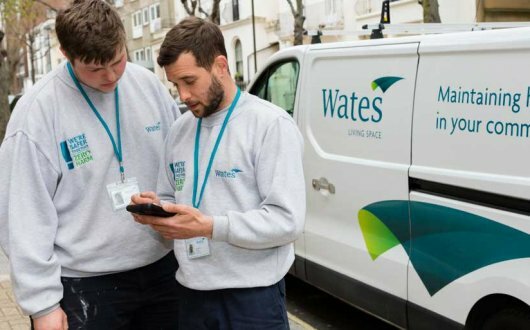 The construction contract for twin plots E01 and E02, which has been led by Wates Construction, is the largest ever construction contract awarded to Wates on a single site, worth a total of £161.5m. The homes, which will neighbour a brand new seven-acre park, will have access to private communal landscaped gardens, as well as a Multi-Use Games Area (MUGA). The building will also include a 30,000 sq ft fitness club, storage for 572 bicycles, 193 car bays and a children’s nursery at ground level. The homes will be connected to Wembley Park’s district heating and fibre optic networks and all residents will benefit from Envac, a sustainable waste management system proven to increase recycling rates and improve local air quality through a reduction of refuse collection vehicle trips. The homes will be located just minutes from Tipi’s latest building, Alameda, set to open in June. The Alameda homes are the first of their kind at Wembley Park, which have been specifically designed from the ground up for rent, and E01/E02 is set to follow suit, delivering more bespoke BTR homes with popular features, like lounges and private gardens that aim to delight renters. Wembley Park continues to be on track to become the UK’s largest BTR site, with the largest concentration of homes specifically design for the rental market. Recently, Tipi’s portfolio has expanded significantly with the opening of Landsby, Wembley Park’s newest development of 295 new apartments, which was completed by Wates earlier this year. Tipi currently manages over 550 homes across the 85-acre site with 750 more coming to market by Q4. Quintain is investing over £3bn into the transformation of Wembley Park and Tipi will manage all 5,000 BTR homes being delivered. As Tipi expands across the estate, the company is analysing real-time data from their existing buildings and incorporating this information into the design of future buildings. Tipi are using the feedback to adapt everything from the central heating systems and Wi-Fi, to amenity spaces and apartment layout in order to respond to the needs of residents. In addition to the 750 homes coming to Wembley Park this year, the estate will welcome Troubadour Wembley Park Theatre, 115,000 sq ft of office space and a range of new retailers including the recently announced Wembley Park Market and independent bakery and baking school, Bread Ahead. Wembley Park’s current retail and leisure offering already includes the thriving London Designer Outlet and Boxpark Wembley. “We are delighted to have developed a longstanding relationship with Quintain and I’m delighted to be here today celebrating the progress made so far, on this phase of the regeneration of Wembley Park. The contract for the twin plots of E01 and E02 was awarded to Wates in July of 2018 and is the largest project the company is working on at Wembley Park. In January 2019, Wates completed plots NW07 and NW08, also known as Landsby.